If you live in Gresham, OR and you've been in a motor vehicle accident, you have to know that you don't have to suffer from chronic symptoms. We work with several auto injury patients in our Gresham, OR office, and a lot of these folks are dealing with chronic pain caused by an old accident. In fact, research shows that a significant proportion of rear-end crashes can cause pain and disability even ten years after the initial trauma. Dr. Robert Ramsey is here to help you avoid developing chronic pain by helping to restore the natural function of your spine soon after a collision. The most common causes of chronic problems are reduced flexibility of your spinal column and the formation of scar tissue in your spine. The ligaments of your spine can easily be damaged during a collision, and chiropractic works by minimizing inflammation and restoring normal motion. If you're nearby our Gresham, OR office, and you've been hurt in a collision, don't wait to get care. Dr. Robert Ramsey is here for you. Give us a call today at (503) 667-6744 for an appointment or for more information. Each year, there are millions of auto collisions in the world, and a substantial number of people end up getting injured in a collision. Although most accidents are "minor," chronic neck and back pain are still common health problems. The good news is that chiropractic care is a very good way to treat these kinds of injuries. We have treated many auto injury patients in our Gresham, OR office, and Dr. Robert Ramsey has been helping people with these types of problems since 1997. During a car accident, your body is subjected to large forces that it simply wasn't built to deal with. These forces place strain and stress on your neck, shoulder, and back, and can result in injury to the ligaments that hold your spinal column together. 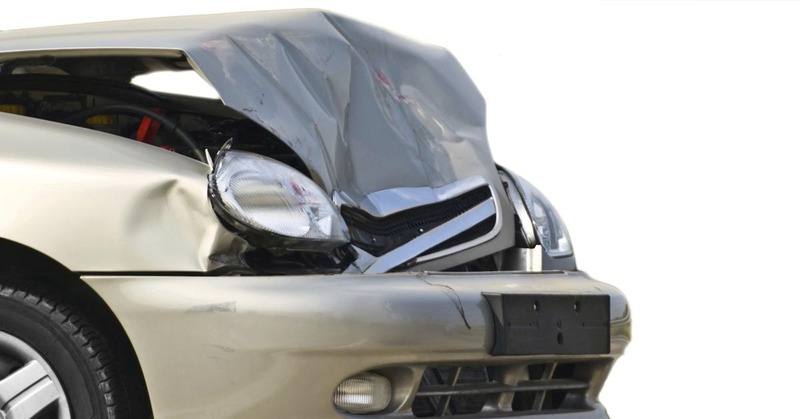 A collision can cause a vast array of pain issues. A ligament sprain in the neck can result in pain, swelling, and radicular problems in the arm and hand. Chiropractic works well for these types of injuries, because chiropractic focuses on restoring the healthy function and mobility of the injured areas. Dr. Robert Ramsey, your Gresham, OR chiropractor, can assist by lowering inflammation in the injured area and can help minimize the creation of scar tissue that can cause chronic pain and disability. You don't have to suffer from auto injury pain. Discover more about how we can help you get well or call Dr. Robert Ramsey today at (503) 667-6744. Jaw pain is a fairly typical problem reported by people after a car crash, and it can be confusing for some health practitioners to find the source of the problem. Complicating the matter, very often you won't develop TMJ symptoms until many weeks or months after the incident. Dr. Robert Ramsey has helped many people with jaw pain after an injury, and the medical literature explains what causes these types of symptoms. During a collision, the tissues in your spine are oftentimes stretched or torn, causing ligament, muscle, or nerve injury. This can obviously cause pain in the neck and back, but since your nervous system is one functioning unit, inflammation of the nerves can cause pain in other parts of your body. For instance, with radicular pain, irritation of a nerve can cause prickling or numbness in the arm or hand. Similarly, it can affect parts of your body above the injury, like your head and jaw. Headaches after a crash are very common because of neck injury, and the TMJ works the same way. Dr. Robert Ramsey sees this very commonly in our Gresham, OR office. Research indicates that the root of many jaw or TMJ symptoms starts in the cervical spine and that treatment of the underlying neck injury can resolve the secondary headaches or jaw symptoms. The key to resolving these symptoms is simple: Dr. Robert Ramsey will work to return your spinal column back to health, alleviating the inflammation, treating the injured tissues, and eliminating the irritation to the nerves in your spine. Dr. Robert Ramsey has found that jaw and headache symptoms often resolve once we restore your spine to its healthy state. If you live in Gresham, OR and you've been injured in a car crash, Dr. Robert Ramsey can help. We've been working with auto injury patients since 1997, and we can most likely help you, too. Give our office a call today at (503) 667-6744 for an appointment or consultation. Approximately 2.3 million people are hurt each year in car accidents in the U.S. While some people are able to heal from their injuries relatively easily, too many people are left to deal with chronic pain and impairment. We see many of these patients here in our Gresham, OR office. Fortunately, Dr. Robert Ramsey is here to help you heal from your auto injury. The science confirms what we see in our office: A British study was conducted on 28 men and women diagnosed with chronic whiplash pain. Each participant received chiropractic adjustments and 93 percent of them found relief following their adjustments, even though 43 percent of whiplash sufferers overall usually never find relief. This confirms that chiropractic care is a great way to avoid long-term pain after a crash. It's important to remember that studies have also found that delaying care after a car crash can adversely affect healing time, so getting in to see Dr. Robert Ramsey as soon as possible is key to having a quicker recovery. Dr. Robert Ramsey has helped many auto injury sufferers, and we're here to help you, too. Call our Gresham, OR office today for more information or an appointment. Over 2 million people are injured every year in auto accidents in the U.S. While some people are able to heal from their injuries relatively easily, many folks are left to deal with chronic pain and impairment. We see many of these patients here in our Gresham, OR office. Fortunately, Dr. Robert Ramsey is here to help you heal from your auto injury. The science confirms what we see in our office: A British study was conducted on 28 men and women diagnosed with chronic whiplash syndrome. Each participant received chiropractic treatment and 93 percent of them experienced improvements following their adjustments, even though 43 percent of whiplash sufferers overall usually never find relief. This confirms that chiropractic care is a great way to avoid long-term pain after an auto injury. It's important to remember that studies have also found that delaying care after a car crash can adversely affect recovery time, so getting in to see Dr. Robert Ramsey immediately is key to having a speedier recovery. Dr. Robert Ramsey has helped many auto injury patients, and we're here to help you, too. Call our Gresham, OR office today for more information or an appointment. We treat many auto injury cases in our Gresham, OR office, and a widespread symptom our patients report is neck pain. If you are dealing with neck pain after an auto collision, don't worry. Dr. Robert Ramsey sees this type of problem frequently in our Gresham, OR office. Neck pain is a common problem after an auto injury, and it's something that Dr. Robert Ramsey sees often in our Gresham, OR office. What causes neck pain after an auto collision? How can chiropractic help? Why is neck pain such a common condition after an auto collision? How can chiropractic care help you get better? Let's see why neck pain is frequently experienced after an auto collision and see how your chiropractor can help you heal. Let's look at the root cause of neck pain after an accident and see how your chiropractor can help. The key to recovering from neck pain caused by a crash is to understand the root cause of the problem and how chiropractic care can help. Chiropractic can be very helpful for neck pain symptoms after a crash. Let's examine what causes neck pain and why chiropractic works. Chiropractic is a great way to treat neck pain. Let's look at how neck pain is caused by a crash and how Dr. Robert Ramsey can help you. It's not surprising that neck pain is the most common problem experienced after an auto injury. Even in a collision, your head is rapidly thrown back and forth, so it's not surprising that neck pain is the most common symptom from this type of injury. The neck is subjected to very high forces during an auto injury, so it's not surprising that neck pain is so common from this type of injury. During even a low speed crash, your head is exposed to extremely rapid acceleration. In such collisions, a head that normally weighs about 10 pounds can suddenly weigh eight times as much. This force exerts a severe strain on the tissues of the cervical spine. The bones of your spine are held together with strong bands of tissue called ligaments, and these ligaments provide stability for your neck. These ligaments can be sprained during a car crash, just as the ligaments in your ankle can be sprained. A sprain means that the ligament is stretched or torn. When you experience a sprained ligament, the damaged area gets swollen and tender, and that's what happens after a car crash. Your chiropractor helps by increasing mobility in the injured region, which helps the ligaments heal and helps minimize scar tissue. You don't have to suffer from neck pain. Dr. Robert Ramsey is conveniently located in Gresham, OR to help you recover, whether you've been in an auto collision or not. If you've been injured in a car crash and you're suffering from neck pain, Dr. Robert Ramsey is here to help. Dr. Robert Ramsey has been helping patients in Gresham, OR since 1997, so we know what you're living with. We're here to help you, too. Let us help you recover from neck pain. The first step is to get an accurate diagnosis to determine what's causing your pain and then we will determine an appropriate treatment plan of action. Next, we'll do a careful evaluation to figure out the root cause of your pain, and then decide how to restore your body's natural functioning. Dr. Robert Ramsey will determine what's causing your pain and then will work to restore your body to its natural functioning. Give our office a call today at (503) 667-6744 to make an appointment. If you suffer from headache after a car crash, you're not alone. Dr. Robert Ramsey sees this type of problem very often in our Gresham, OR office. Your chiropractor can be very helpful for headache symptoms after a crash. Let's see what causes headache and why chiropractic works. There are many different types of headache. Headache that's triggered by an auto injury, though, typically begins as tension or strain in the muscles of the neck. In a crash, the neck muscles can be damaged, which causes swelling and pain. 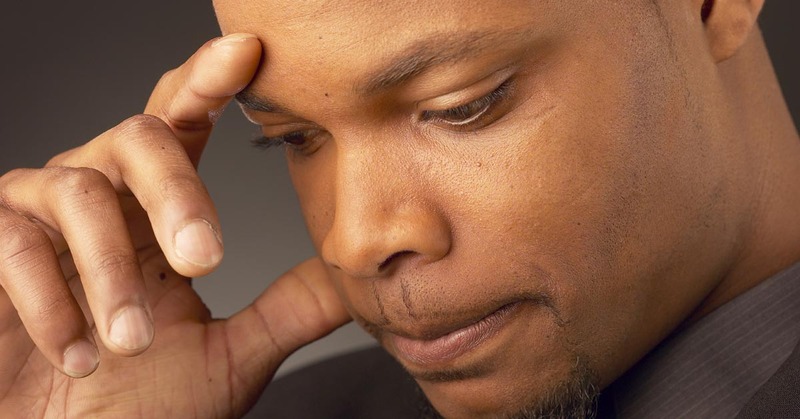 These types of headache can be felt in different places, including the back of the head or even the temple. Another frequent cause of headache after a crash that we see in our Gresham, OR office is cervicogenic headache, or headaches that start in injured ligaments of the neck. Ligament injury is quite common after a crash, and it's important to get care for this type of problem to prevent the creation of scar tissue. Chiropractic care is an effective way to treat headaches, including those brought about by car crashes. Dr. Robert Ramsey can help reduce the inflammation and tension in your neck, which will help alleviate the headache pain. If you've been hurt in a car crash and you're suffering from headache, Dr. Robert Ramsey is here to help. Dr. Robert Ramsey will first determine what's causing your pain and then work to restore your body to its natural functioning. Call us today at (503) 667-6744 if you have questions or would like to make an appointment. We treat many auto injury cases in in our Gresham, OR office, and a widespread symptom we see in our patients is thoracic outlet syndrome. What causes thoracic outlet syndrome after an auto injury? How can chiropractic help? The thoracic outlet is a bundle of nerves and blood vessels that pass through your neck and shoulder to your arm. These nerves and blood vessels don't have a lot of space, so they travel underneath and through the strong bands of muscles that support your head. In a collision, these muscle groups can be stretched and strained. If damaged, the muscles become inflamed and sore, and they can develop scar tissue which restricts movement and puts stress on the tissues of the thoracic outlet. Pressure on the nerves can cause tingling or numbness in the shoulder, elbow and even the hand. Pressure on the blood vessels can also cause problems in the arm. Chiropractic adjustments can be an effective way to treat thoracic outlet syndrome, as Dr. Robert Ramsey will help improve mobility in your spine and restore normal nerve function in your neck and shoulder. You don't have to suffer from thoracic outlet syndrome. Dr. Robert Ramsey is conveniently located in Gresham, OR to help you recover, whether you've been in a car crash or not. First, we'll do a careful examination to establish the root cause of your pain, and then decide how to restore your body's natural functioning. Call us today at (503) 667-6744 if you have questions or would like to make an appointment. We treat many car accident cases in in our Gresham, OR office, and a common symptom we see in our patients is back pain. Why is back pain such a common problem after a car crash? How can your chiropractor help you heal? During a rear-end car crash, your car and car seat are rapidly accelerated forward against your torso. Since car seats don't perfectly align with the curve of your back, the seat can put uneven force on your lower back. This can cause some of your spinal vertebrae to move in one direction while an adjacent vertebrae might move in another direction. This differential movement can sprain or strain the structures that hold your spine together. These types of injuries can cause chronic back pain if not treated right away. Thankfully, chiropractic is one of the most effective ways to treat back pain. You don't have to suffer from back pain. Dr. Robert Ramsey is conveniently located in Gresham, OR to help you recover, whether you've been in a car crash or not. First, we'll do a careful examination to determine the root cause of your pain, and then decide how to restore your body's natural functioning. Call us today at (503) 667-6744 if you have questions or would like to make an appointment. Shoulder Pain is a common condition after a car crash, and it's something that Dr. Robert Ramsey sees frequently in our Gresham, OR office. What causes shoulder pain after an auto injury? How can a chiropractor help? There are at least two ways that you can get shoulder problems after an accident: by direct trauma to the shoulder or by radiating pain from the neck. Direct trauma can be caused by striking your shoulder on a hard surface in the car during the crash, or can occur if you have a tight grip on the steering wheel during a rear end impact. With this type of injury, you'll usually be aware of the pain shortly after the wreck. More commonly, Dr. Robert Ramsey finds that shoulder or arm pain does not immediately appear after a crash, but begins a few days or weeks after the trauma. This type of shoulder discomfort actually starts in the neck. Injured ligaments or muscles in your neck can tweak nerves in your neck, causing numbness, tingling, or soreness in your shoulder, elbow, or wrist. We've treated both kinds of shoulder problems in our Gresham, OR office. This care involves chiropractic adjustments to restore your spine's natural flexibility and exercises that strengthen your neck and shoulder. Let us help you recover from shoulder pain. Dr. Robert Ramsey has helped many people with the same condition, and we can probably help you, too. The first step is to get an accurate diagnosis to determine what's causing your pain and then we will determine an appropriate treatment approach. Call us today at (503) 667-6744 if you have questions or would like to make an appointment.